Eco Dive Club & Eco Dive Center hosts a few adventurous divers on some amazing Eco-Excursions and Tropical dive adventure trips. One of those divers could be you! Open to all divers! Booking Trips: Call 1-888-SCUBA-LA (728-2252) to reserve your spot today! Warning! Be prepared to have tons of fun. Dive the Kittiwake wreck and feed stingrays! * Excellent wall and reef diving. Something for everyone! Grand Cayman is the largest of the three Cayman Islands, about 76 square miles, located in the Western Caribbean. It’s an island offering excellent options for relaxation, dining, nightlife, shopping, and world-class diving. More than 200 unique dive sites beckon underwater explorers. Cayman Islands diving is mostly current-free so divers can choose to move at their own pace, and underwater photographers can spend their entire dive at one location, waiting for the perfect shot. All of the dive sites are moored, which marks the beginning and ending points of that dive. After the dive briefin, divers can choose to follow the divemasters on the dive tour, or buddy up and go exploring on their own. We will be staying at Cobalt Coast Beach Resort, located on small bluff overlook the beautifu Caribbean. - 7 nights' accommodations in a Garden View room. - 6 days of 2-tank morning + 5 days of 1 tank afternoon boat dives. Total of 17 boat dives. Nitrox is included!!! Deposit: $750 per diver. Click here to pay the deposit and confirm your spots. Open Water certification and ownership of a dive computer. Not yet advanced certified? Get your Advanced certification on the trip! Grand Cayman is a great place to get your Advanced and Rescue certification. Need a dive computer? Ask us about special deals if you sign up for the trip. The water temperature is going to be in the high 70s to low 80s this time of the year. A 3mm shortie should suffice or a 3mm full wetsuit is recommended if you tend to get cold. Join our group flights or get your own flights. Cost is $700 per ticket. If you carry a US Passport, it must be valid at the time of entry and exit from the Cayman Islands. No tourist visas are required. It is the divers’ responsibility to ensure they have the proper passport and visa documentation to travel to Grand Cayman on this itinerary as well as for re-entry and return back to Los Angeles. We strongly recommend each guest purchase comprehensive dive accident, medical, baggage and trip cancellation and interruption insurance. Trip insurance will protect you from financial disappointment if you are prevented from making your scheduled trip due to illness or family illness, or in the event that unforeseen circumstances prevent the airline or yacht from making its scheduled trip. Dive with mantas and whale sharks + a side trip to Sri Lanka! Words are not enough to describe this paradise which never disappoints those who come here in search of unspoilt sea and nature. Lying 600 miles southwest of Sri Lanka, the Maldives is an island nation of 26 natural coral atolls and over over 1,000 islands. Topside, the Maldives offer some of the most beautiful scenery you will ever see in your life. Underwater, the Maldives offers some great reefs and marine life and is known for currents, healthy reefs and plentiful pelagics such as mantas, reef sharks and whale sharks. Commonly referred to as the ‘Cultural Triangle’ of Sri Lanka, the central plains area boasts ruined temples and ancient cities combined with national parks and glistening reservoirs. UNESCO World Heritage Sites include the striking rock fortress of Sigiriya, Dambulla’s Royal Rock Temple and crumbling archaeological treasures of Polonnaruwa. The stunning setting and historic interest in this region is sure to be the highlight of our 4 night trip to Sri Lanka. We will be staying at 5 star resorts Cinnamon Lodge and Cinnamon Citadel in Sri Lanka and spend 7 amazing nights aboard the luxurious Duke of York liveaboard. - Up to 3 dives per day. 1 dive on embarkation day, and 1 dive on off gassing day. Not yet advanced certified? Get your Advanced certification on the trip! The Maldives is a great place to get your Advanced certification. The water temperature is in the low to mid 80s all year. A 3mm shortie should suffice or a 3mm full wetsuit is recommended if you tend to get cold. We are going during the southwest monsoon, which brings a lot of plankton. This causes visibility to drop from 100ft to 60ft on average, but the abundance of food brings in the large animals like mantas and whale sharks. These flights cost approx. $1,300 per person. If you carry a US Passport, it must be valid for 6 months from your exit from the Maldives. Tourist visas are required for both Sri Lanka and Maldives. It is the divers’ responsibility to ensure they have the proper passport and visa documentation to travel to Sri Lanka and the Maldives on this itinerary as well as for re-entry and return back to Los Angeles. 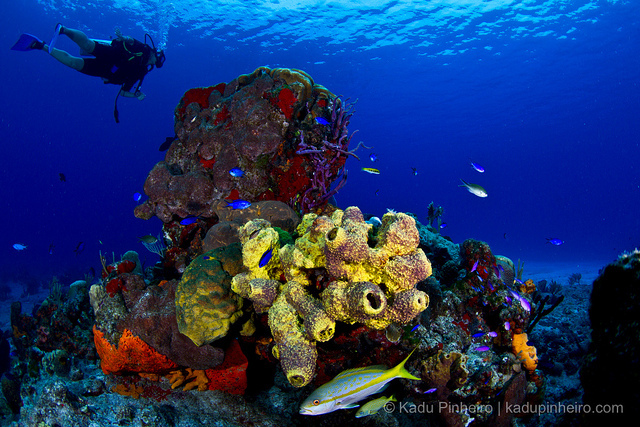 Cozumel is home to over 500 fish species and a wide variety of corals. 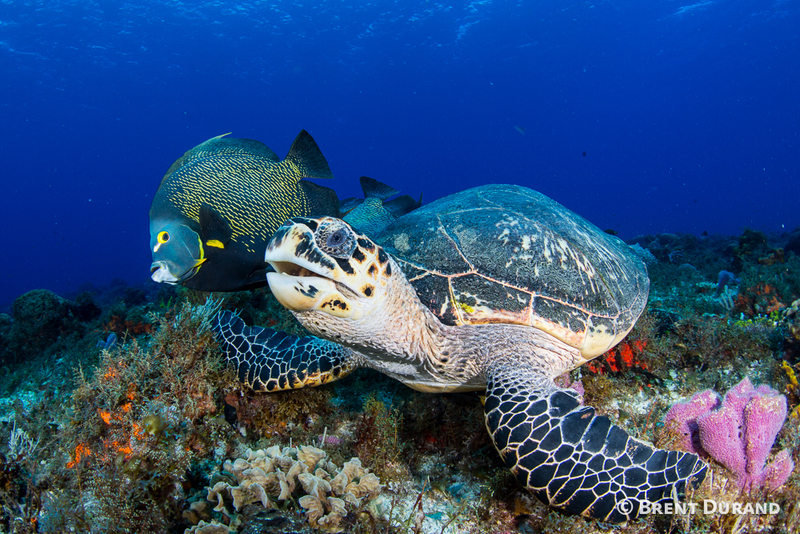 On a typical trip, divers will see turtles, groupers, green moray eels, nurse sharks, the endemic splendid toadfish and lots of colorful tropical fish. 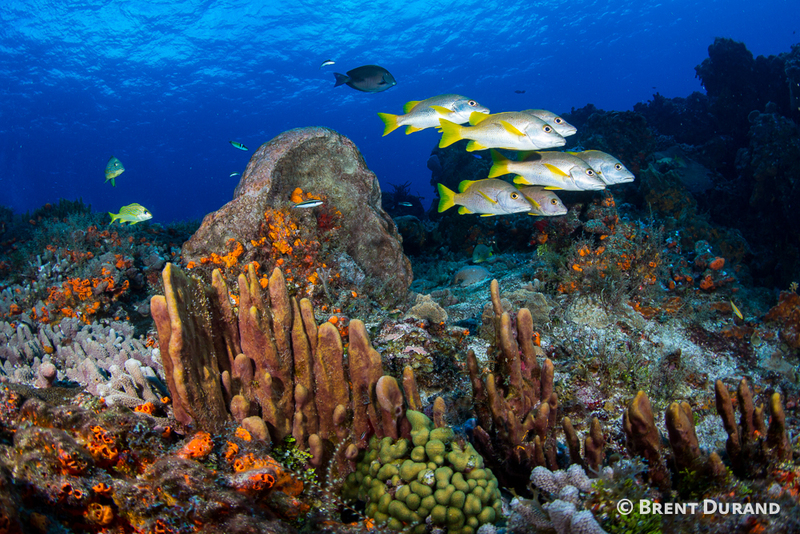 The southernmost deeper reefs feature massive coral heads covered with vase, tube, rope, elephant ear and many other vibrantly colored sponges. The coral heads create a network of fun channels, swim-throughs and wall drifts above steep drop-offs. The depth and rich color make a dive light very useful in viewing the rich colors and for peering into nooks and crannies looking for a splendid toadfish or dog-sized lobsters. 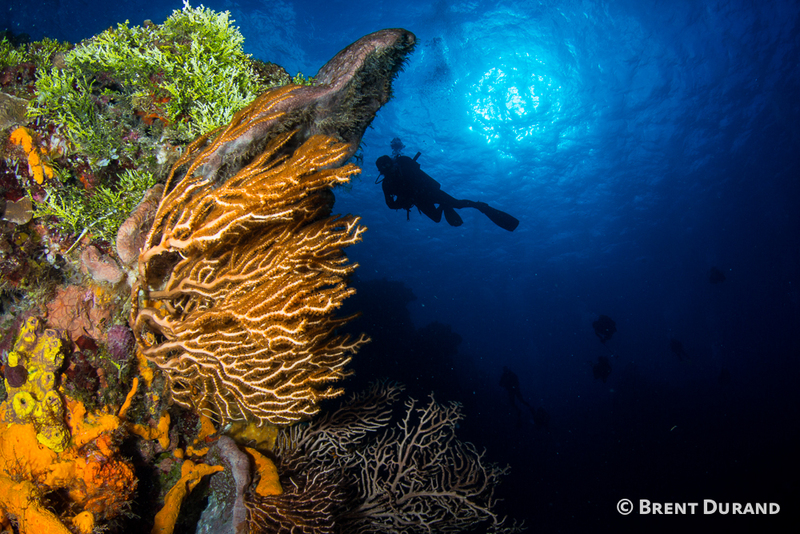 Searching beneath and behind the coral heads will reward divers with nurse sharks, moray eels, lobsters and more. 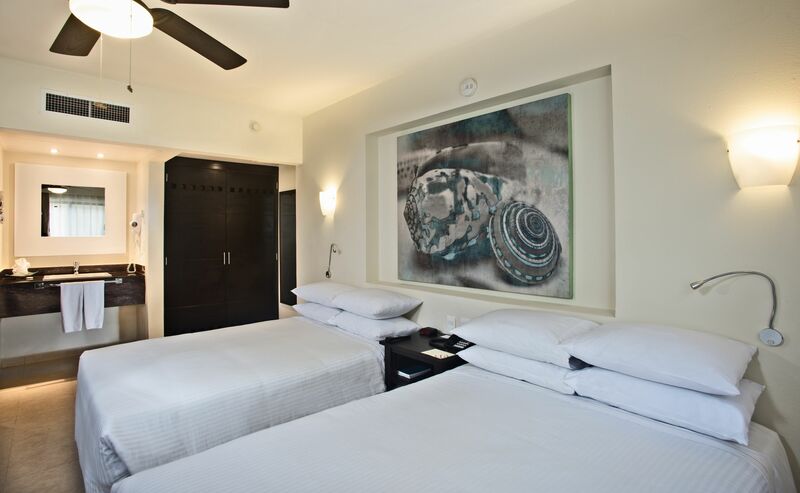 We will be staying at the Allegro Cozumel in special "Ultimate Dve Experience" rooms, with all your meals, alcoholic and non-alcoholic beverages included. We also have special concierge service during check-in, and special group dinner reservations. - 8 nights' accommodations in a Superior "Ultimate Dve Experience" double room. - All your meals, alcoholic and non-alcoholic beverages. - 6 days of 3 tank boat dives. Total of 18 dives!!! - Free Nitrox on all your dives. - Upgrade to a single room for only $350 for the week. Non-Refundable Deposit: $500 per diver. ***CLICK HERE*** to pay the deposit and confirm your spots. Not yet advanced certified? Get your Advanced certification on the trip! 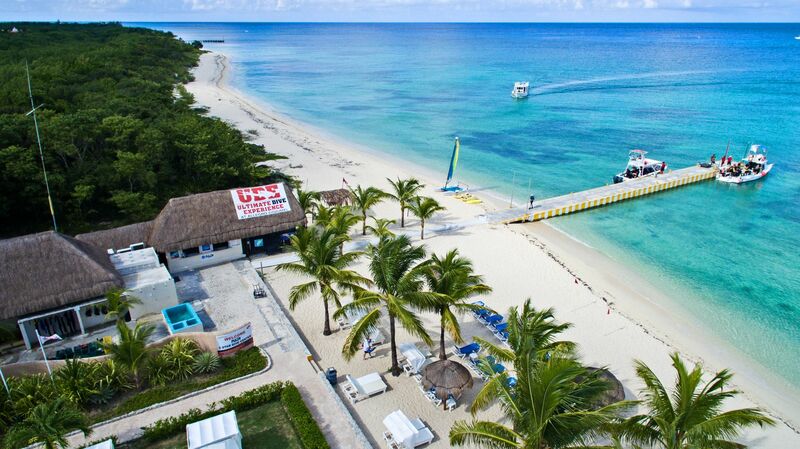 Cozumel is a great place to get your Advanced, Deep Diver and Drift Diver certifications. Need a dive computer? Ask us about special deals for joining us on a trip. Many airlines fly from LAX to Cozumel (CZM). Arrive any time on Nov 2, and leave any time on Nov 10. It is the divers’ responsibility to ensure they have the proper passport and visa documentation to travel to Cozumel on this itinerary as well as for re-entry and return back to Los Angeles. Dive with manta rays, sharks and dolphins! Socorro Islands is our favorite warm water trip. It is an easy flight from Los Angeles, and features the friendliest giant manta rays in the world. Expect to have close interaction with manta rays every day, on top of playful dolphins and six different species of sharks including silky sharks, Galapagos sharks, white tip reef sharks, scalloped hammerhead sharks, silvertip sharks and tiger sharks. The boat is anything but luxurious, but is an extremely fun boat. You will be sleeping in quad cabins and the bathrooms located on the dive deck, but most of your time will be spent on the sun deck swapping stories about the amazing dive you just did. Dec 28: Arrive in Cabo (SJD). The boat is docked at the San Jose Del Cabo marina and boarding is at 6pm. You can leave your bags on the boat and go into town if you arrive early. Departure is at 8pm. Dec 29, 2018: Travel at sea to Socorro Islands. This is a fun day out on the ocean with new friends. Dec 30, 2018: Arrive in Socorro Islands and diving starts. Dec 31, 2018 – Jan 4, 2019: 3-4 dives per day. Jan 5, 2019: Travel at sea back to Cabo. Another fun day out at sea reminising about the amazing week of diving and looking at all the photos from the week past. Jan 6: Arrival back at Cabo. Disembarkation at 8:30am and take a taxi back to Cabo (SJD). 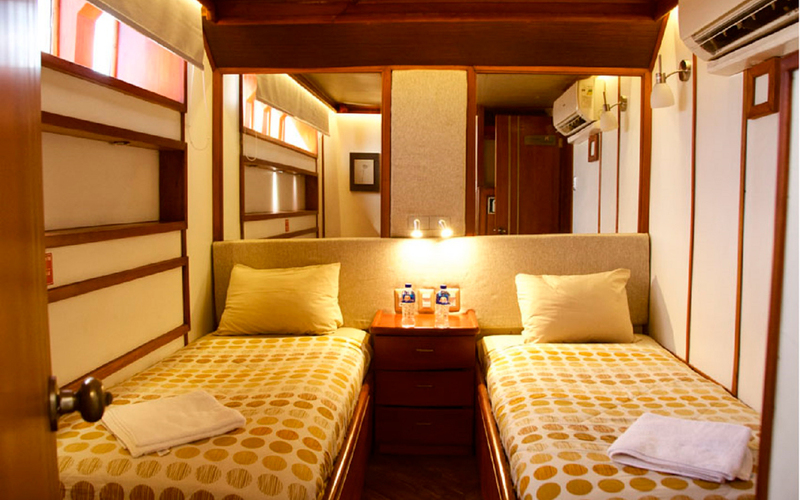 - 9 nights accommodations in a quad share cabin. - All meals, snacks and beverages including local beer and wine. - 6 days of diving at world famous sites like Roca Partida and the Boiler. Deposit: $1,000 per diver. ***CLICK HERE*** to pay the deposit and confirm your spots. Because of the depth and presence of strong currents, Advanced Open Water, Nitrox certification and ownership of a dive computer is required. Not yet nitrox certified? Get your nitrox certification on the trip! This s the arm season! The water temperature is going to be in the mid 70s to low 80s this time of the year. A 3mm full suit should suffice but add on a vest and hood if you tend to get cold as there can be thermoclines at depth. Visibility is generally between 60 and 100 feet. Surface temperatures will be in the 80s, but it can get chilly at night. Many airlines including Alaska, Southwest, Delta and American fly to Cabo San Lucas. Arrive any time on embarkation day and depart any time on disembarkation day. If you carry a US Passport, it must be valid at the time of entry. No tourist visas are required for stays under 180 days. It is the divers’ responsibility to ensure they have the proper passport and visa documentation to travel to Mexico on this itinerary as well as for re-entry and return back to Los Angeles.